2018 Swift Spirit 604 New Coachbuilt motorhome for sale in Dolphin Hampshire UK. 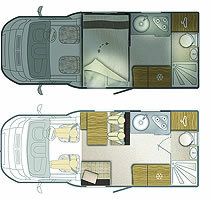 This model is 4 berth with 4 seatbelts. 2.3 JTD (130) engine with Automatic transmission. NEW & EXCLUSIVE RANGE FOR 2018! !